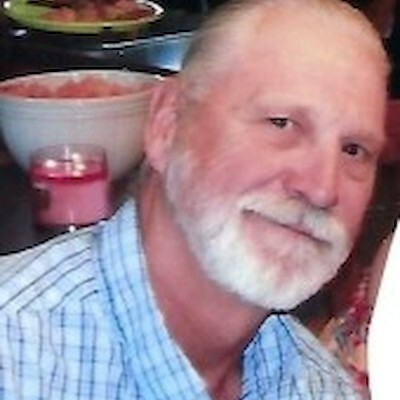 Rey Lee Olson, age 73, of rural St. Croix Falls, WI, passed away on Wednesday evening, March 27, 2019 with his family by his side. He was born November 3, 1945 at Grantsburg, WI to Mr. and Mrs. R.E. Olson. He was the youngest member of the family. He went to grade school at the Cushing School and rode his bike there in nice weather. Rey Lee went to High School at St. Croix Falls and was a member of the class of 1963. He was baptized and confirmed at the Cushing Lutheran Church. Rey Lee was united in marriage to La Vonne L. Lundeen of Frederic at Zion Lutheran Church of Trade Lake on August 12, 1967. To this union four children were born: Darcy L. Olson of Portland, Oregon, Darrin G. Olson of Osceola, WI, Lee Ann Falen of Princeton, MN, and Daryl R. Olson of Minneapolis, MN. He also has daughters-in-law, Tes Olson and Hilary Hanson and son-in-law, Joseph Falen. He also has two grandchildren, Anna Kacia C. Falen and Tucker J. Falen, and one great-granddaughter, Reyna Claire Falen, age 3 months. In 1969 he started work at McLean Trucking Co. of New Brighton, MN. He worked there for 18 years until they dissolved. He then went to work for Holmes Freight Lines, Pacific International Express, and McDonalds as a driver. He was a proud member of Local 120 and won many safety awards for accident-free driving. He retired in June of 1999 after 30 years of service in the trucking industry. After his retirement he worked for several farmers in the area and also in lawn maintenance at Burnett Dairy in Alpha. Rey Lee was a man of many talents. He was a woodworking project leader in 4-H when their children were young. He enjoyed deer and grouse hunting and fishing and driving in the Barrens with his wife. In 1994 he built his own home and garage in the Barrens. He enjoyed cutting wood and outdoor life in general. On April 5, 2014 he had a stroke which he never fully recovered from. After that, his wife helped him bathe, dress and eat. He was also a diabetic. Last October he got pneumonia and was hospitalized for 24 days, most of the time on life support. He had several more strokes while in the hospital in the Twin Cities. The last five months of his life he was a resident at the Frederic Nursing Home. In honor of his wishes, there will be no funeral service, just a small family gathering at a later date. Dearest Rey Lee, you left us way too soon. You were a peaceful, gentle soul that will be missed so much. Life won't be the same without you. I hope you knew how much you were loved; you were everything to us. Diabetes and strokes took so much away from you, still you were always cheerful and never complained. Today, tomorrow, and always we will love you forever. Thank you to the Frederic Nursing Home for Rey Lee's care and the Rowe Funeral Home and Northwest Wisconsin Cremation Center in Milltown, WI for services provided.